Google unveiled updates to its Google Drive apps for iOS and Android on Monday—a revamp that transforms the service’s mobile offerings into a richer, full-blown competitor to other online storage services. In its iOS version (at least), the first edition of Google Drive unveiled this summer was little more than a glorified document reader: Users could see and read files they’d created on their desktop computer, but they couldn’t create or edit documents on their iPhone and iPad. Monday’s update, then, is a giant leap forward for Google Drive on iOS—users can create files and documents, edit and format them, collaborate with other users, and upload photos and videos from their device for storage in Google’s cloud. Though the video demonstration in the announcement showed spreadsheet editing, that feature is not yet available. 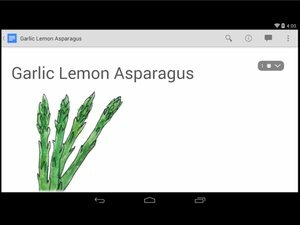 Users can view Google presentations and spreadsheets on the app, but not yet create or edit them there. "Looking ahead, we have plenty more planned for the Drive mobile apps—including native editing and real-time collaboration for Google spreadsheets," according to the Google blog. Google Drive for iOS finally lets users create and edit documents. The changes to the Android version of Google Drive are more subtle—document creation was available in earlier versions—but still an advance: Users can now create folders and perform housekeeping tasks like moving documents from one folder to the next, as well as filter folders by type. Android users can now also change document fonts while editing, and can pinch-to-zoom documents for a closer look at the text. Google Drive’s mobile apps are both free, as is the first 5 GB of cloud storage: The company charges $25 a year for the first 25 GB of storage after that. iPhone and iPad users must run iOS 5.0 or later to use the app; Nexus 7 and related tablets and phones must run Android 2.1 and up. 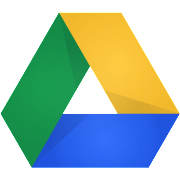 This story, "Google Drive gets updates for iOS and Android" was originally published by TechHive.